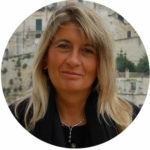 Rossana Revello is the founder and CEO of Chiappe Revello, a business consultancy company (est. 1985) partner of multinational groups, specialised on environmental & energy, infrastructures & healthcare issues, focused on stakeholders engagement & sustainability. Since June 2016 Chair of Confindustria Technical Committee for CSR, after 25 years as member of the association with different tasks at regional level. She is advisor of public & private companies, as well as of local and national institutions (Ministry of Transports in the late nineties, Ministry of University & Research in 2011 and Ministry of Environment in 2012 and 2013). She has been member of professional associations in the CSR & lobbying area for many years.